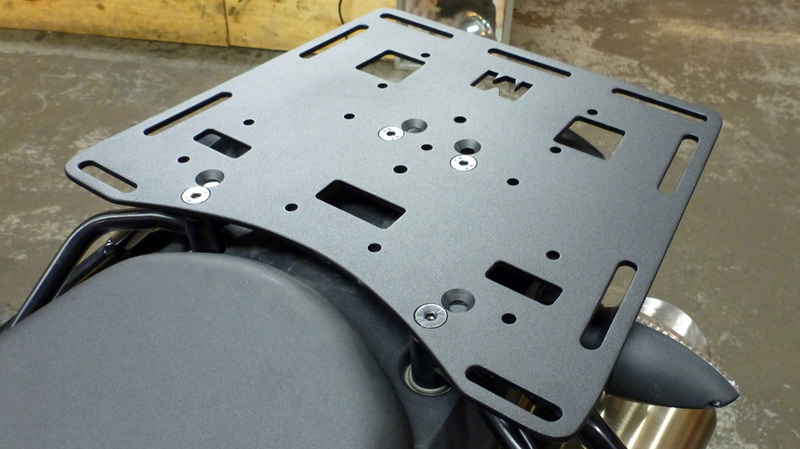 The standard top rack that comes on the back of your KTM 950/990 Adventure or Super Enduro may fit with the look of the bike, but it’s not overly useful. Face it, there’s a battle to be fought even attaching KTM’s own tail bag to the thing, which is where the Moto Overland Top Rack comes in. Beyond accommodating said tailbag, the rack offers multiple Rotopax or Kolpin’s Fuel Pack Jr. mounting configurations for extra fuel, well placed strap slots for a variety of tail bags and tie-downs. 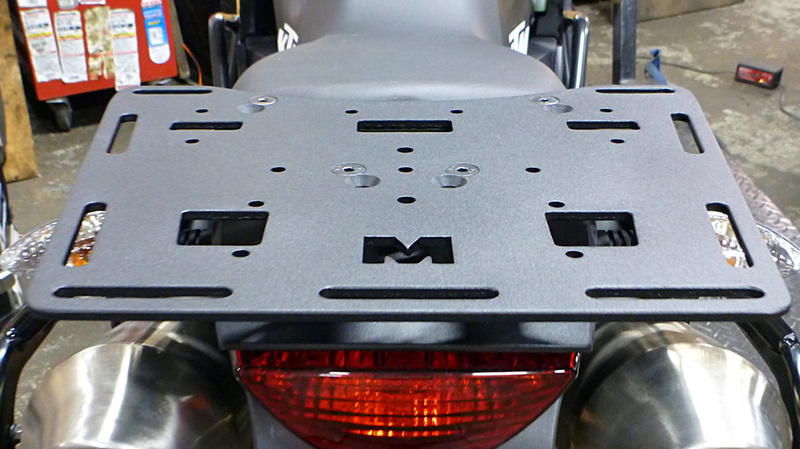 For those who prefer hard luggage there are mounting points for Givi/Kappa, SW-Motech Trax, SW-Motech Top Rack Pelican Adapter, Caribou’s QFS DIY system and KISS – and the MotoOverland Top Rack looks a heck of a lot better than those companies’ native offerings. Combined with an easy install and bullet proof 4.75 mm thick aluminum CNC construction and you’ve got a quality Canadian made product. There’s a couple stand out elements to the MOD Top Rack that are of special note. 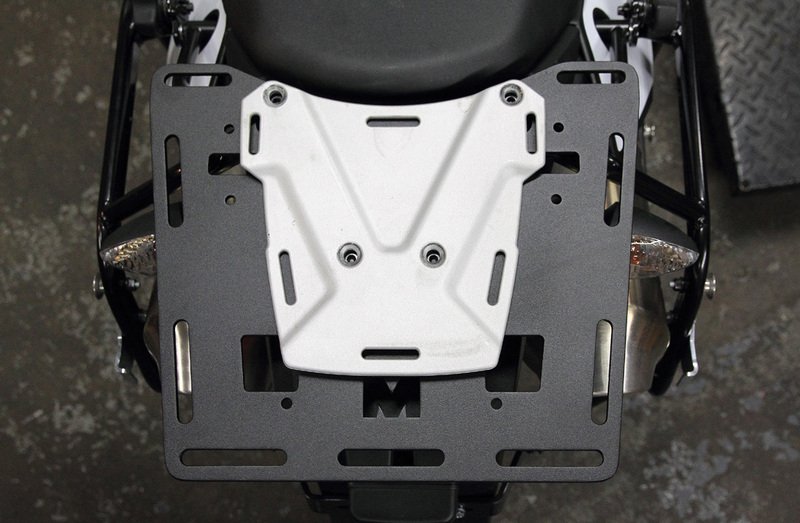 First off the plate maintains good clearance, making seat removal easy – though the KTM bag itself does infringe with this and requires some delicate pushing. All of the edges, including slits for straps, are machined nice and smooth to reduce wear. The thick black powder coat is textured which maximizes grip and over 20,000kms of testing has offered exceptional durability. 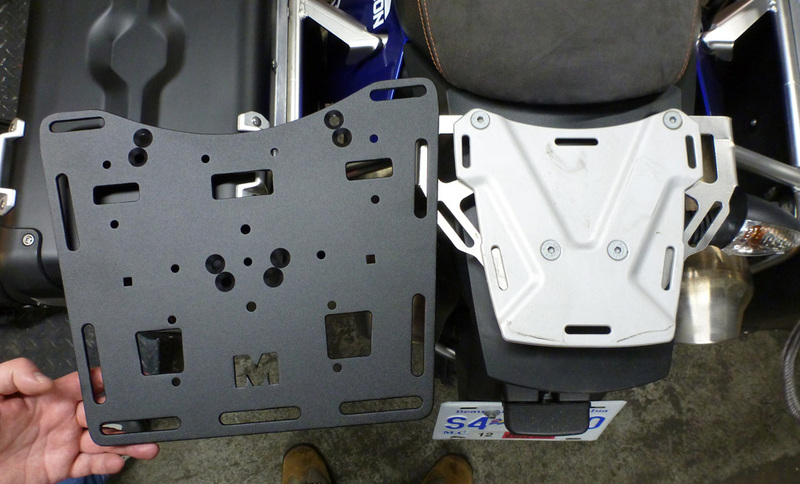 Indeed, in a recent crash that totaled one of the KTM 990s, the MOD Top Rack only conceded a small scrape through the powder coat, and didn’t bend at all. Finally the mounting of the rack is flawless, including the nice flat top surface thanks to countersunk fittings. 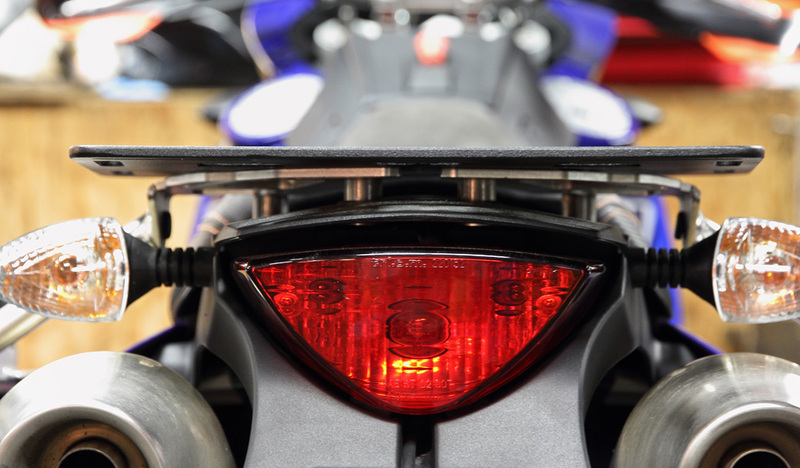 All and all, we’re damned pleased with the versatility and quality of the MotoOverland Top Rack and consider it essential equipment for your LC8 KTM.